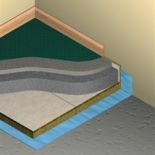 ﻿ Buy insulation online at the lowest prices. 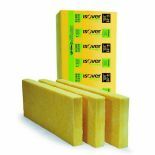 We provide a comprehensive range of insulation materials and insulation boards from a large number of brands including Celotex, Rockwool, Knauf, Promat and more. As energy costs continue to rise and we also see an increase in more stringent building regulations being put into place, then good quality insulation is essential and requires to be an important factor in construction and development projects. One of the most effective insulation materials we stock is Celotex insulation board, a PIR foam with a very low lambda value of 0.022W/mK. 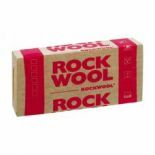 Our range of mineral wool includes cavity wall batts, slabs and pre-cut rolls which are ideal for roofing insulation, solid floors and timber partitions. Our range of premium, high performance insulation boards from well-known brands such as Celotex and Kingspan are ideal for both domestic and commercial building projects. The boards we stock include PIR boards Phenolic boards, EPS Boards and Fire Boards. We provide delivery free of charge on all orders over £250 which is in the mainland of the UK. From placing an order delivery of your items can take 2 working days. Any UK based orders under £250 are charged at £25 for delivery. Please note that we do not deliver on either weekends or bank holidays.